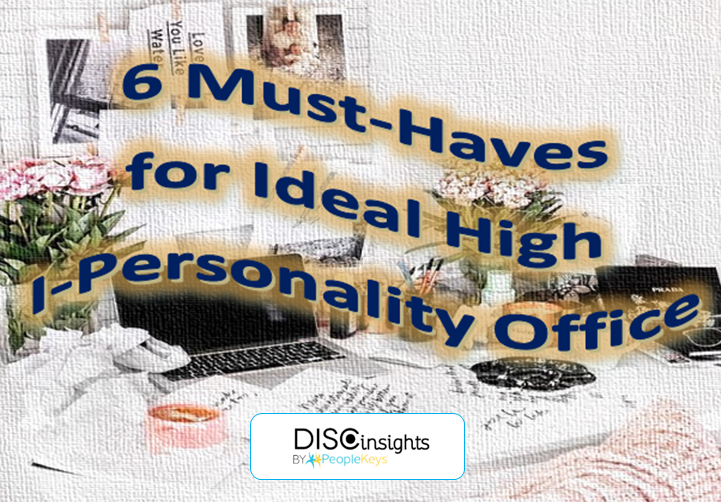 If your DISC Style reveals you are a "High I" Personality Style, then you may already have these trappings in your work space. If you, don't, you may need them. For everyone else, pay attention to office spaces as they often reveal a lot about the person's DISC Personality Style. The more you know about a person (from first interaction) the better you will be able to adjust your communication style to theirs. If you know DISC, you know people with a High I Personality tend to be extremely outgoing, optimistic, persuasive and oh, unorganized, not detail-oriented and impulsive. Indeed they excel with their people skills but can sometimes have all their ducks somewhat scattered (unless other DISC styles are also expressed). A High I Style's office often reflects friendships, people smarts, creativity, over commitment, trails of thought, signs of recognition, and sometimes downright unorganized chaos. Here are six things you may find in an office belonging to someone with a high I personality. High I personalities have great people skills and will most likely have friends and family they want to have out for decoration in their office. A picture frame on the desk is not enough for an I. They will love a picture wall filled with photos of friends', colleagues, or even pets. Of course, if people are around the High I Style, they will definitely be smiling because the High I will make sure they are! The High I's great personality and people skills will have folks migrating from the water cooler to have a conversation. If the high I is not out in another office, others may stop by on coffee breaks or just to check in. High I's need a nice space for long conversations with colleagues, so you may expect more than one chair to be hanging around their office. High I styles may draw a crowd as they like to be center of attention, so you may find a seating area that is conducive to conversation, brainstorming or team meetings. Because the High I naturally wants to be involved in everything and isn't good at say no, they have a lot on their plate. To top it off, a High I will sometimes make two sets of plans for the same time period and cancel one later. They may spontaneously commit to something and have will have no idea how to fit it in. All of these loose commitments take calendar checks and personal reminders to juggle their busy, active lifestyle. Although the High I would rather "pencil" something in than use ink, it's important for him/her to keep track of their comings and goings. In addition, sticky notes help them record some of their many thoughts and great ideas. Since a High I personaity can talk for hours on end, it doesn't matter if they are in the middle of a long list of tasks or wrapping up for the day, they will most likely be talking and multi-tasking. The wireless headset is the perfect solution for the High I personality who can move, talk and post more sticky notes. Even if the High I style is not directly "selling" they are always persuasive and find they can be more compelling and energetic when they are not tethered to the wall so a Bluetooth headset can usually be found in the office of a High I Personality Style. A High I personality style craves personal recognition and attention, so it makes sense for them to want to display their accomplishments, awards, accolades, and recognition on their office walls and on their desk. Not ones to hide their expertise, a High I style is not exactly shy when it comes to the limelight. If their office bling catches a colleague's or a client's eye, then it is effective. 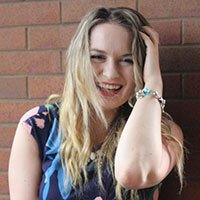 High I personalities are original and creative thinkers, often full of ideas, dreams, and clever inventions. Their randomness often makes them the perfect art aficionados. If they themselves are not creating art, they can appreciate art. Their walls can be their creative canvas where they can express themselves and show their unique and dynamic personality. 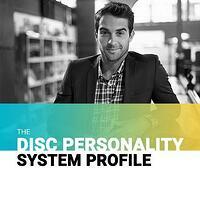 It only takes seven minutes to discover your DISC Personality Style. If you are interested in enhancing your office communication, or discovering how your team can work together more effectively, have your entire office take their DISC Personality Test.